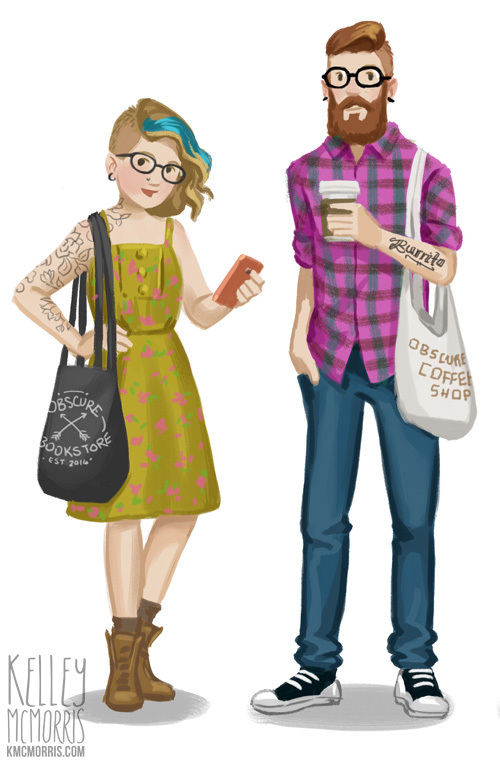 Last week my husband Jasson and I attended some events where there were many young, fashionable Portland hipsters. We felt so square, so basic. Too norm to even be normcore. My only claim to hipsterdom is a new pair of thick-rimmed glasses which were handcrafted in Portland, thankyouverymuch. (Portland loves the word "handcrafted.") Jasson's only claim to hipsterdom is being a bit of a coffee snob. 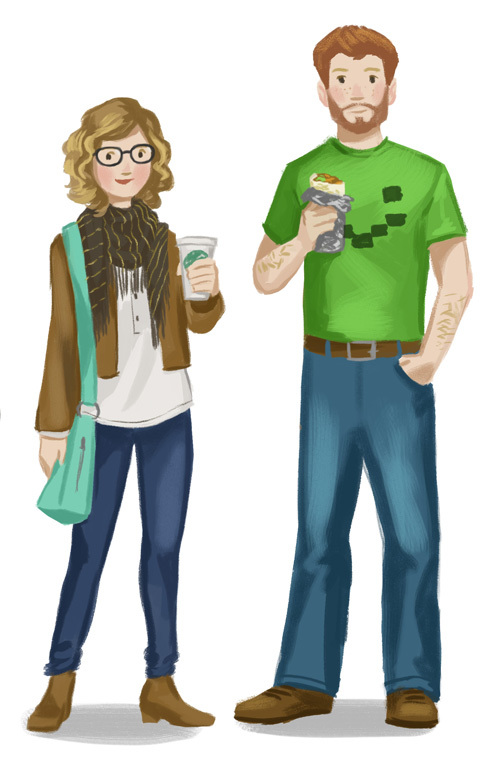 I thought it would be fun to give Jasson and I illustrated makeovers as Portland hipsters. Can't say I'm a fan of Hipster Kelley, although I think Hipster Jasson looks totally on fleek. But hey, have you guys been to Obscure Coffee Shop? They have the best vegan almondmilk lattes. hahah! I especially love Jasson's "burrito" tattoo! Jasson, who did your ink? I need to get one of those with a little lime! Jasson's tat should say, "Angel Food and Fun"
Oh Kelley, this is wonderful.